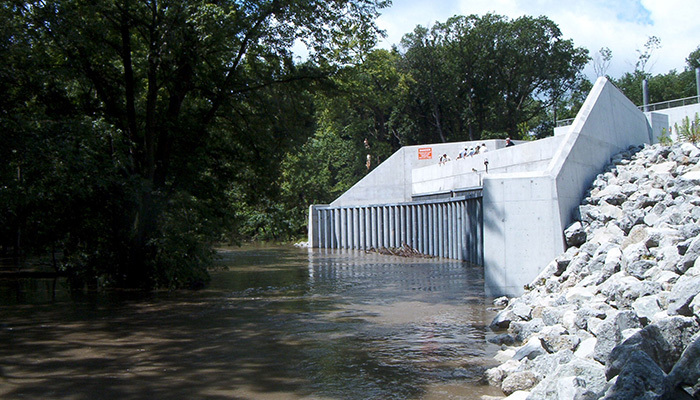 The Thornton Transitional Reservoir project was constructed to alleviate flooding from Thorn Creek during heavy rainfall events. 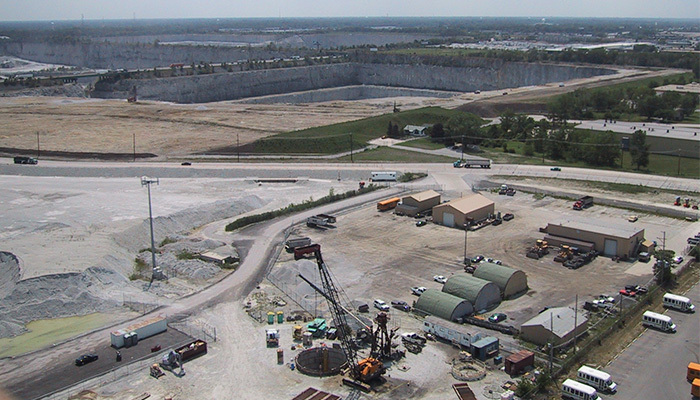 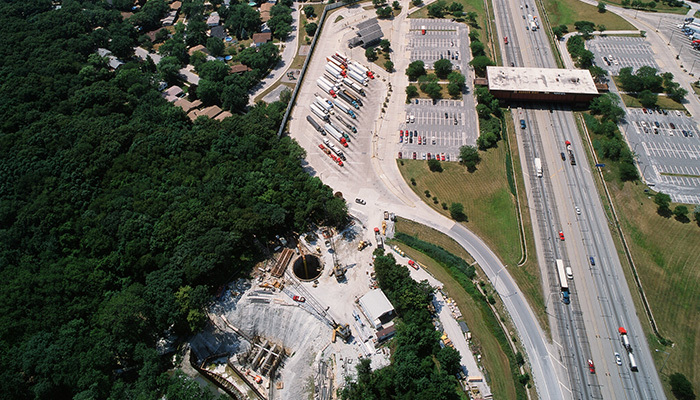 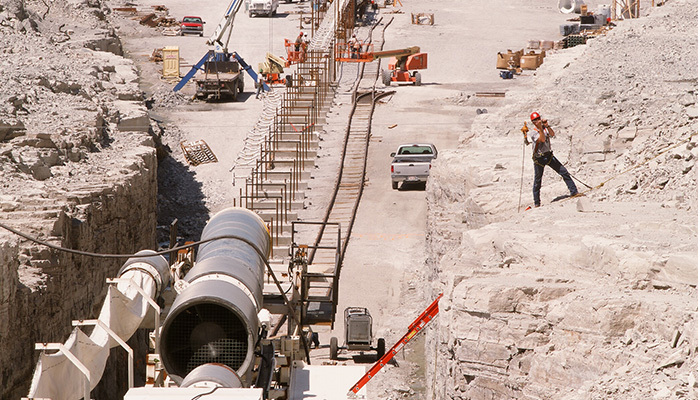 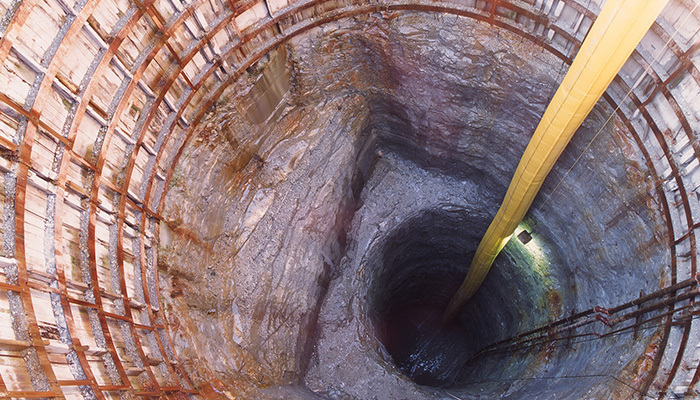 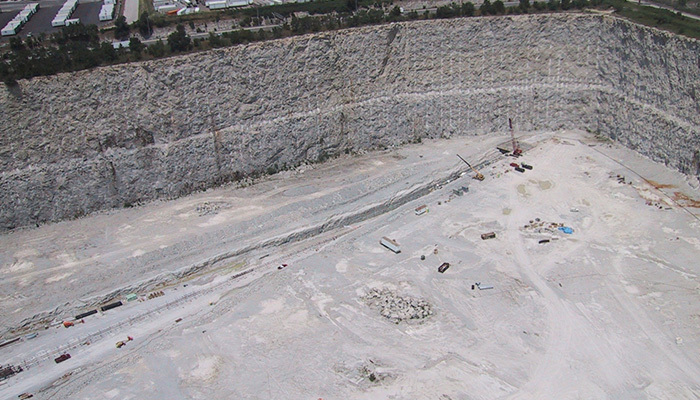 The scope included construction of a diversion structure at Thorn Creek which conveyed storm water into a drop shaft/deaeration chamber and transported it via tunnel to a rock quarry that was utilized as a reservoir. 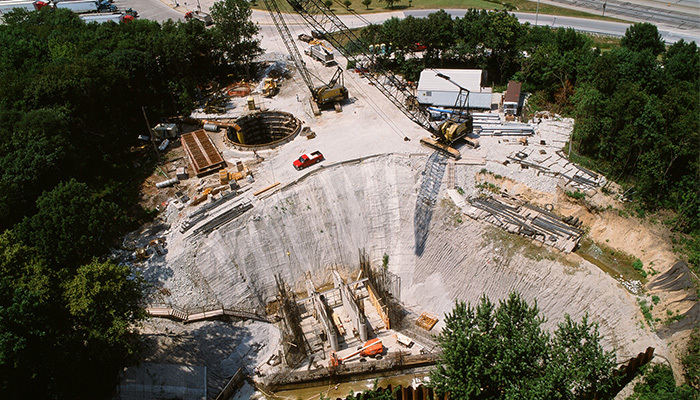 A drain tunnel located at the midpoint of the main tunnel would then transport the storm water to an existing MWRDGC deep tunnel for treatment. 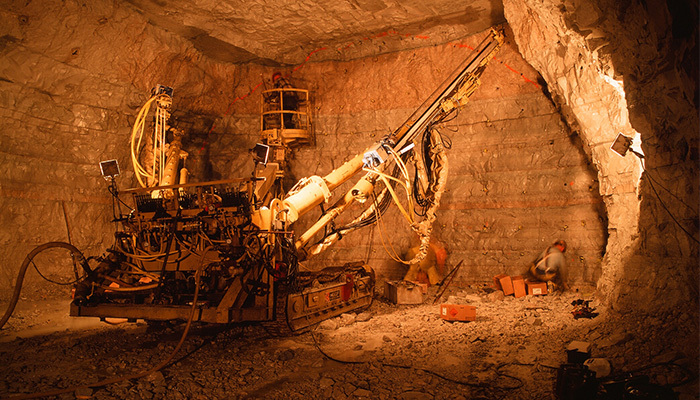 The project presented some unique challenges. 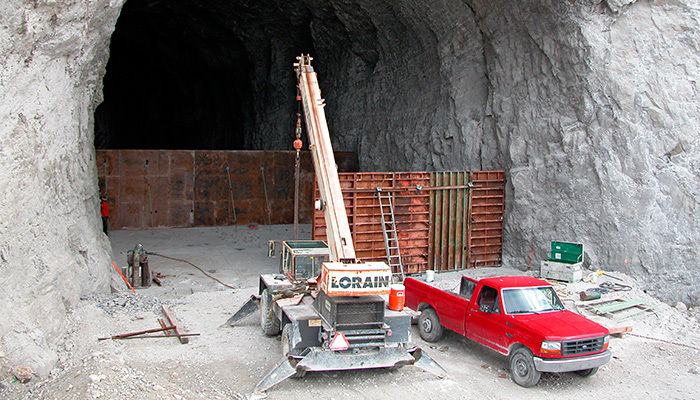 The main tunnel was excavated from a portal located at the bottom of a 300 ft. deep active rock quarry. 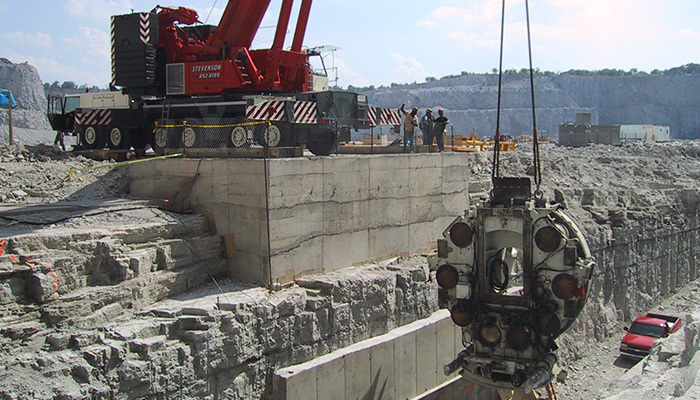 This required significant coordination with the quarry owner in order to move personnel, material and equipment to and from the work site on a daily basis. 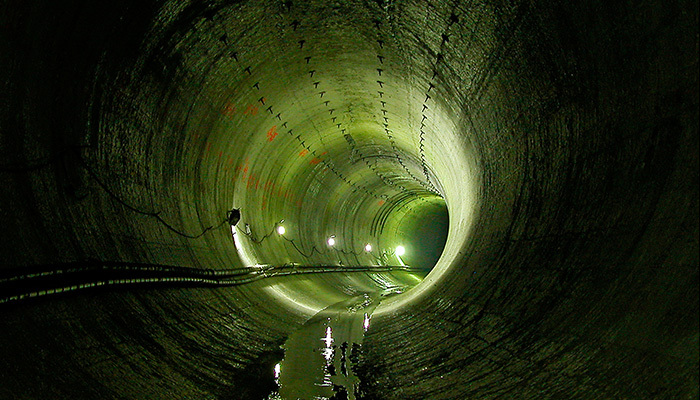 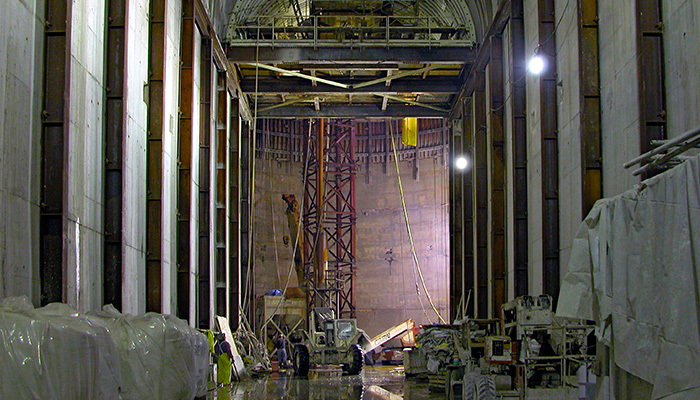 The drain tunnel was excavated from within the main tunnel and presented unique challenges with launching the TBM and removing the excavated spoil.